It’s exciting when someone requests more information about how to join your direct sales company. It’s also scary, because you want to tell them ALL THE THINGS. Some people, like me, get a sample and sign up within 72 hours. Others need some more information to be able to digest and determine if your company is right for them. That’s why preparing a direct sales opportunity packet is a great way to help your direct sales team grow. 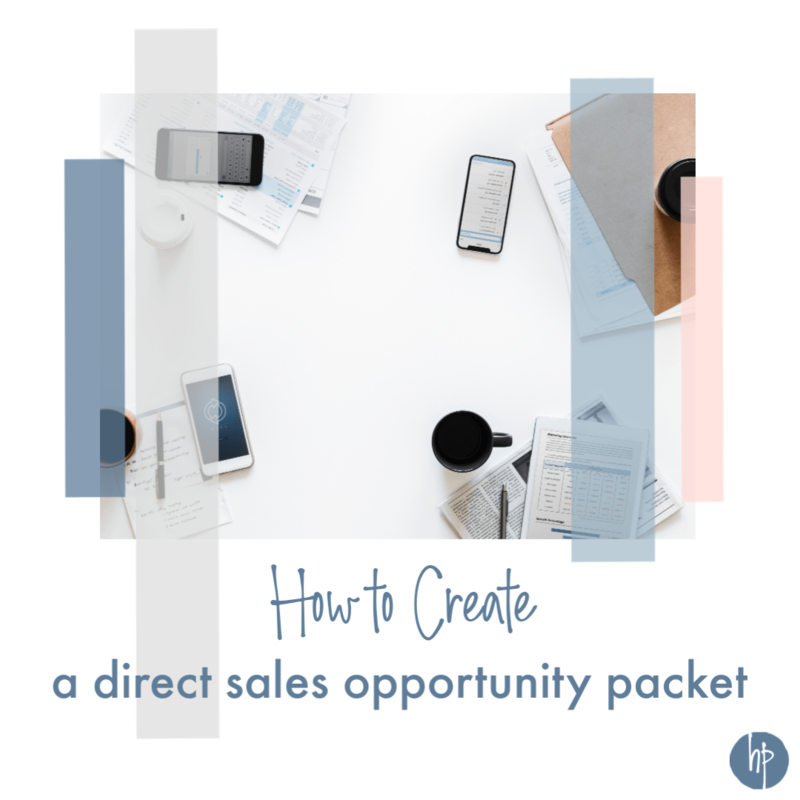 Why Create a Direct Sales Opportunity Packet? Information overload can do two things: excite one potential recruit, and scare away another. That’s why it’s important to find a good balance of information to share so that people have the way to access information needed for them to know if the business is a good fit for them. It helps you to not flood potential recruits with disjointed information – you should have heard me stumble in the beginning – “OMG Color Street is so amazing, I mean, the product is affordable and then OMG the comp plan and you should totally join cause it’s the BEST COMPANY EVER.” While all of that is true, and my feelings of WOW over this company have not subsided, many recruits want the facts and the basics! What Should Go In Your Direct Sales Opportunity Packet? 10 samples to help them “jump start” their business – that way they don’t have to wait for the kit to make magic happen! FAQ sheet – listen, and hear the most common questions – people want to know about your team, sales minimums, what training you have, what are monthly website fees – this almost writes itself as you listen to what questions people are asking! Depending on what your business is, you may add or take away from that list. You just want to make sure to pick items that bring value to the person considering joining your team. Who Should You Give Your Direct Sales Opportunity Packet To? I don’t just give out the packet to EVERYONE. My free resources include blog posts and my Pinterest boards. People can read about my approach to things, and see about how to put together a hostess packet or see blog posts that I have written specifically for my team to help them learn and grow. However, I simply cannot afford to send everyone a packet. I don’t send a packet unless we’ve had a personal conversation about the business. When a person joins my Color Street team opportunity group on Facebook, I immediately message them. I ask them if I can help them with any questions, starting the conversation. I don’t send a packet if the Facebook user who messages me just created their account. In the world of direct sales, we know that there are those who want everything for free. They hunt down anything and everything that they can get for free. They’ll even create new accounts just for freebies. I need to work with intentionality, and not waste time and resources without it being strategic. Most of the time, I will follow my gut on this one, knowing that there are always exceptions….but this is a red flag to me. I hope that this helps you in creating an opportunity packet for your direct sales business! It’s going to help you so much, and I am excited for you to see your team grow. Is there anything you add, or would take away from this list? Tell us in the comments! Additionally, if you’re interested in learning more about the Color Street business, and getting an opportunity packet, request to join my opportunity group HERE.